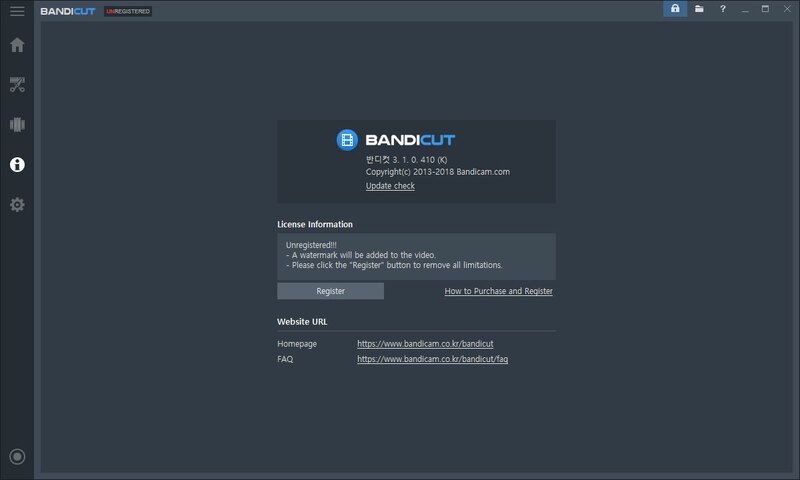 Bandicut is a professional video splitter program which can split a large video file into smaller equal video clips. 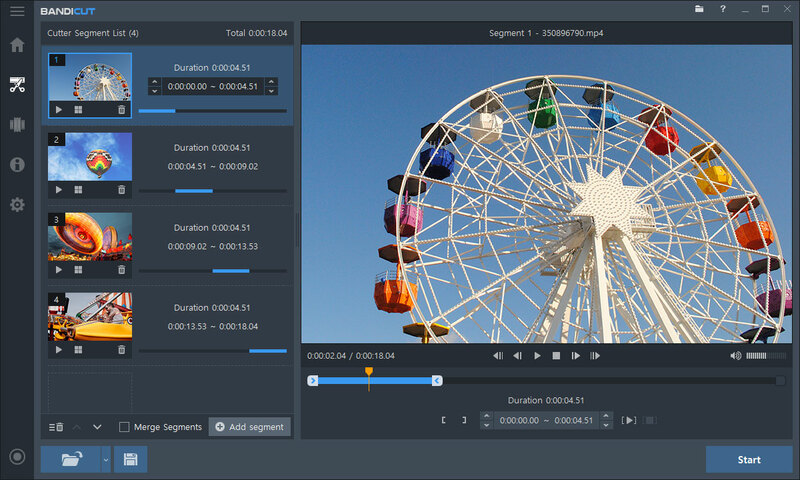 With Bandicut, everybody can easily split a video into multiple equal files while keeping the original video quality. 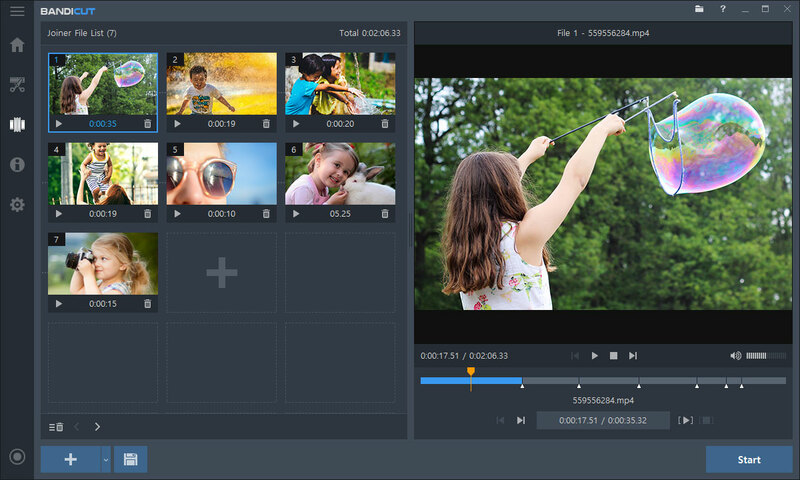 Users can also extract audio from video to MP3, join multiple video files, remove one or more parts from the video, or trim parts of video. Please try Bandicut to split a video file and upload it to YouTube, Vimeo and Facebook. 1. 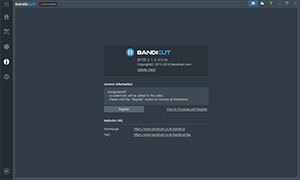 Download the free version of Bandicut, start Bandicut and click the 'Split' button. 2. 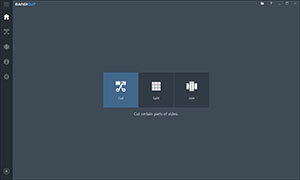 Choose the split method, and click the 'Apply' button. 3. 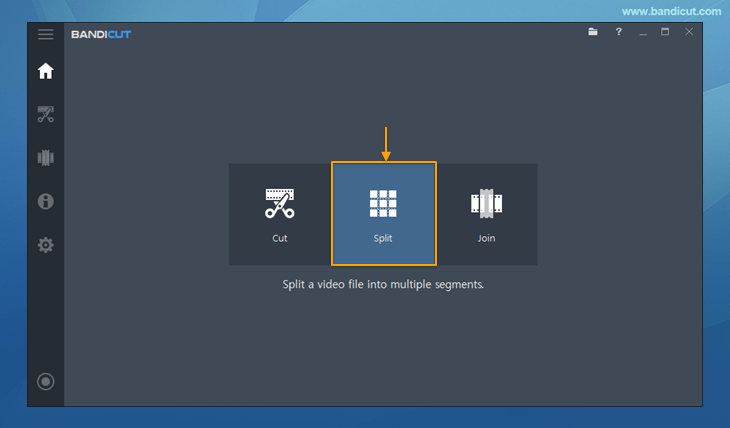 Click the 'Start' button to initiate the video splitting. If you want to join/merge multiple sections of a video. If you want to extract audio tracks (.mp3) from a video. 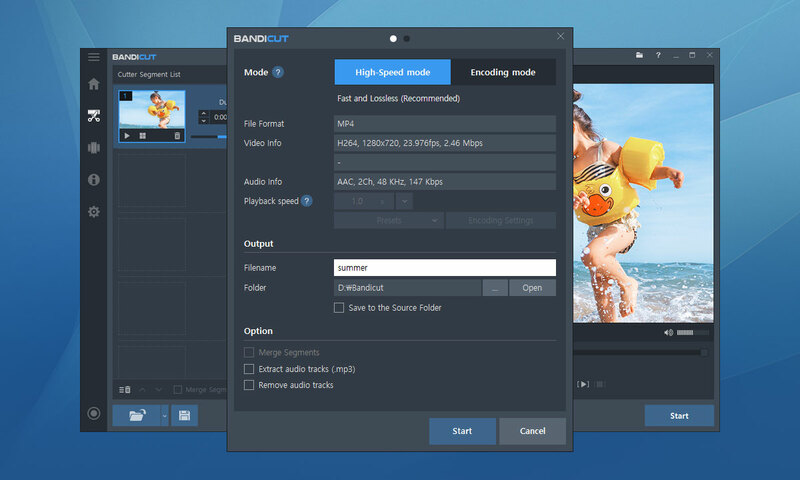 Bandicut supports almost all popular video formats such as AVI, MP4, MOV, M4V, MKV, MPEG, MPG, DAT, VOB, FLV, ASF, WMV, TS, TP, TRP, MPE. 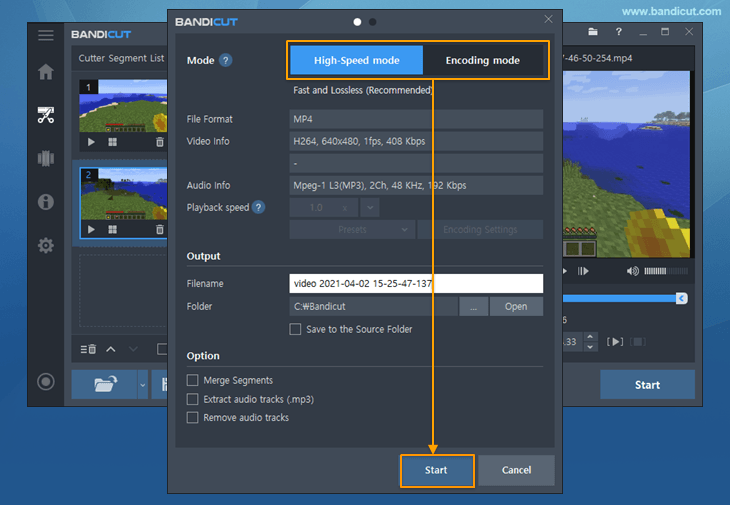 You can use Bandicut as an MP4 splitter, AVI splitter, MOV splitter or MPEG splitter. 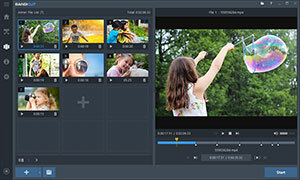 Lossless video splitter software is able to split a video without re-encoding. There are lots of video splitter programs on the market. 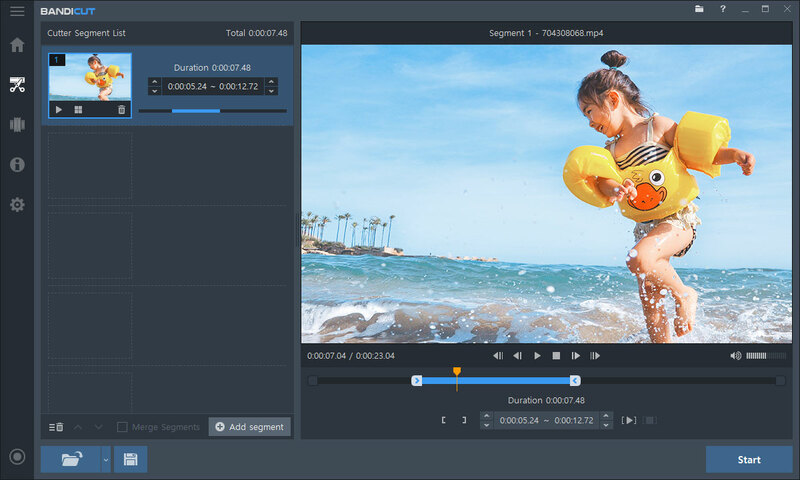 However, if you want to cut, trim, crop, split your video files or merge multiple segments without decreasing the video quality, please try Bandicut! 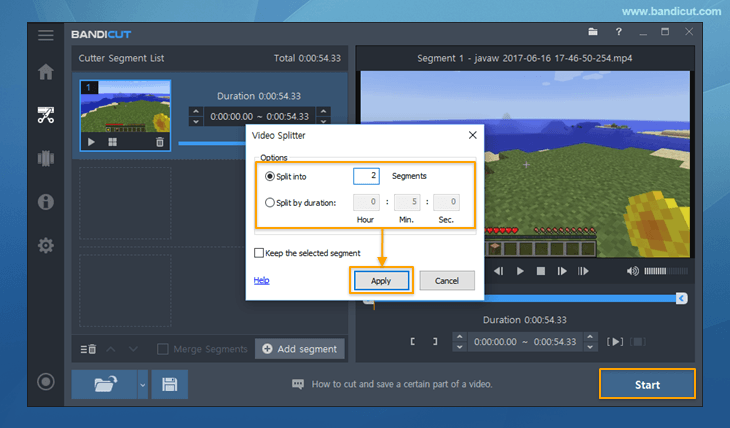 With Bandicut, everybody can easily split a video into multiple equal files.